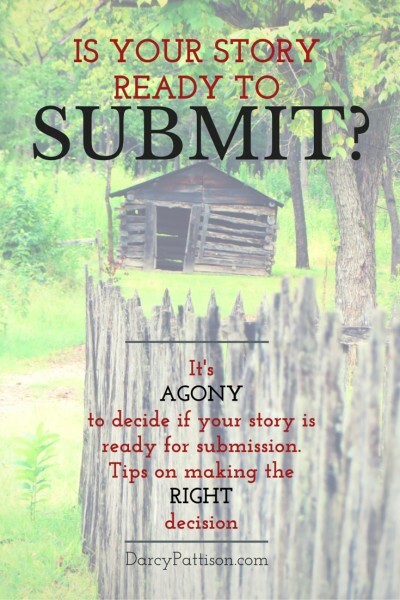 A fellow writer recently posed this question to me: Is my mss ready to submit? The short answer is, you don’t know. You can only send it out and see what response you get. That’s agony. You want to be accepted and published, but no one can guarantee that. The simple fact is that manuscripts that sit on a hard drive somewhere will not sell. Even if I said your book is “perfect,” it may not sell. You must test the market and learn from every submission. Have you done the best job that you know how to do right now? The best you can do at any give time is the best you can do. Don’t send out your weakest effort. But if you’ve worked hard on the story and it’s the best you know to do, then send it. Hope for a sale, but rejoice if you get any feedback at all. That’s what you want: useful feedback. Sometimes a casual comment will trigger a huge change in a story. Trust your instincts. Too often writers spend years in revision. One attitude the indie revolution has built is that you should trust your instincts, write fast (because time IS money), and get books out. It’s something that traditionally published writers can learn from. You’re a storyteller: trust your instincts. Do a couple trial submissions. Nothing says that you must send the story first to a hundred agents or editors. Even agents do trial submissions. They’ll often send to a limited number of editors and see what feedback they get. Granted, they GET feedback and you may not. Based on editorial response, the agent may ask a client to revise, or they may do a wider or a different submission strategy. Consider individual preferences. In other words, your audience in submitting is an individual editor, one by one. One editor said it’s like this. If he likes pullover sweaters–a personal preference–and you sent him the most luxurious button-up sweater ever made, he still wouldn’t buy it because he only likes pullovers. The key, then, is to find the right agent/editor. The only way to do that is to follow likely candidates on Twitter, FB, etc. and see how the conversations go. Then–heck, just submit! You can always revise and resubmit a year later to the same editor, if needed. Go to conferences and get feedback from critiques there. In the end, I write for an audience. I want to put my book in the hands of the RIGHT readers, whether that’s a kid from Wisconsin, or an editor or agent in New York City. In the end, at some point, you must submit. Or face the fact that you’ll never be published. It’s a painful truth, a painful process. But it’s part of the game. Submit! Today! As an aspiring author who’s just braved the first hurdle of sending a revised draft to beta readers, I’ve been thinking a lot about this topic. How will I ever know if my manuscript is ready? This post was incredibly helpful. Going off my gut is something I learned a lot in my day job, but it’s not something I do when (pardon my bluntness) I’m doing something I actually care deeply about. I’m going to start listening to myself more and try not to doubt myself. :) I wrote the thing, shouldn’t that be the hardest part?! Sometimes, I think the whole psychology of writing/submitting/publishing is the hardest part. Kudos on getting the draft done–and sent to betas. Congrats!